Keeping up with the news in the SEO and digital marketing world can be difficult, with changes happening constantly across platforms, including social media and google. It can be hard to be on top of it with limited time in the day, so why not take advantage of podcasts, you can learn while traveling, exercising, cooking, whenever. Podcasts are just as informational, and sometimes even more in depth than blog posts, and often keep things interesting by featuring multiple voices and opinions. We have done the research for you, and, in no particular order, found the most engaging podcasts for you to subscribe to. We have also compiled our favourite past episodes from each one. 1: Web Marketing That Works | Useful chats about social media, email marketing, SEO and content marketing. 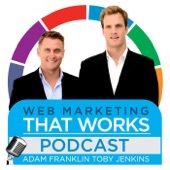 Hosted by Adam Franklin and Toby Jenkins, but featuring a different guest each week, this podcast looks at successful and failed case studies of web marketing, and what you can learn from them. No new episodes are being made at present, but the archive of 150 episodes contain a vast amount of up to date SEO and digital marketing advice and knowledge. We recommend ‘146: Adam Franklin on Digital Marketing Tips for 2017’. In just 12 minutes, Franklin discusses five key tips for digital marketing and its current landscape. He goes in depth into the basic steps to build a solid foundation and then how to spread the word about what you are doing. Web Marketing That Works also includes planning templates on their website, making them a perfect resource for those beginning in the digital marketing world. For all episodes listen here. For our favourite episodes listen here. 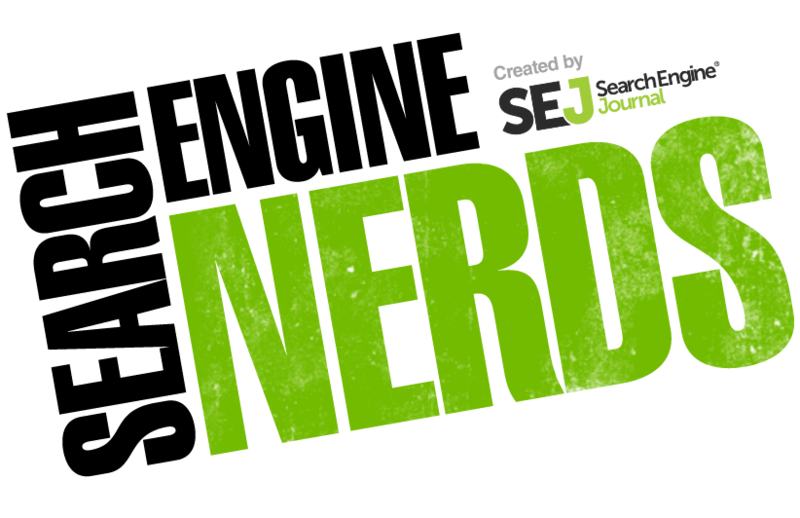 From the brains of Search Engine Journal comes Search Engine Nerds. With particular focus on the future of digital marketing, each episode of the podcast is also transcribed on their website, with the key points summarised as well. That makes this the perfect podcast for those who like to change how they access their content. One of our favourite episodes is ‘Keyword Research and Content Marketing for SEO in 2018’, where Tim Soulo is interviewed, and discusses how to conduct keyword research for already established and new websites. He also talks about the lessons to be learnt from looking at your competitors. The podcast dives step by step into a detailed keyword research examination, and what to do with your keyword research to make your content stands out. We also enjoyed ‘The Unusual Branding Strategy That Made This SEO Company A Success’, where Clayton Johnson is interviewed about starting The HOTH, and what made it a successful SEO company. Link-building is also discussed and how he sees the future of digital marketing unfolding. He goes in depth about the importance of branding yourself, even as an SEO company, as it makes you stand out as well as demonstrating to the client that you are good at what you do. For those starting at or working on an SEO company, this episode is the one for you. For our favourite episodes listen here and here. 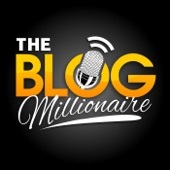 Expert blogger Brandon Gaille, keeps it brief but specific with The Blog Millionaire. Each episode offers advice on a chosen theme, with Gaille occasionally creating mini-series that detail out into a specific SEO topic. This podcast mostly appeals to blogging beginners, with step-by-step and basics guides on a range of topics. Don’t let that deter you, there are lessons to be learnt for people at all levels of digital marketing. Some of Gaille’s more recent content is more social media based, but for those listening for SEO content we recommend ‘Triple Your Traffic with the Post Title Mod Growth Hack’. This episode discusses how to create a title that will result in more organic google search views. He discusses keywords and how to find them, as well as how best to create a title from them. The episode is easy to understand, but full of tips, and only 12 minutes, making it easy to listen to on the go. Another episode we love is ‘Writing a 3000 Word Blog Post in One Hour’. The title may sound like clickbait, but the discussion gives insider tips on how to save time to create easy and quick blog posts, but ones that still do well in achieving SEO. The episode also includes tips on link-building, and building connections in the industry. 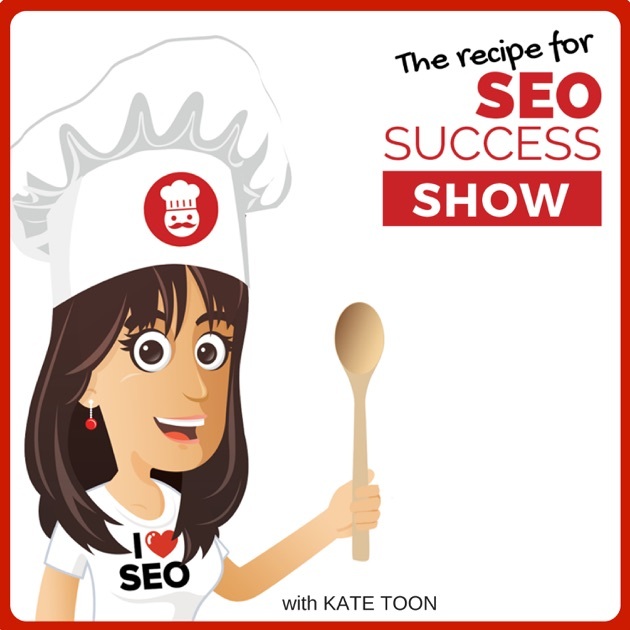 Host Kate Toon keeps things interesting with her podcast, covering a range of topics from past case studies to the latest SEO news. She features a range of exciting guests and focuses on breaking things down in easy to understand ways. This podcast appeals to a variety of listeners, as she categorises her episodes into those designed for ‘newbies’ and ‘techies’. We recommend starting with ‘GOOGLE Q&A with John Mueller’. Everyone in SEO knows that keeping up with Google and their changes isn’t easy, but in this episode Toon interviews John Mueller, a Webmaster Trends Analyst at Google. The major lessons to be learnt from this interview is the importance of remembering images and how useful they can be in SEO, and the difference between AdWords and organic searches and how they affect each other. She also asks how Mueller sees the future of Google and how Google handles 301 redirects. ’My 2018 SEO predictions’ is another interesting episode, aimed towards ‘newbies’. In this episode Toon discusses the changes she thinks are coming in the SEO world. One of the more interesting takeaways from this is her thoughts on voice search, and how content will need to be changed to adapt to this way of searching. She also discusses the changes in how a google search looks, with more ads, and map results pushing the organic searches to be further down the page. Toon emphasises the importance of using your site yourself, or getting others to try and use it, making sure that it is responsive and straight forward. This episode would be perfect for those entering the SEO world in 2018 and needing the basics laid out in an understandable way, that takes into account recent changes. SEO 101 from WebmasterRadio.fm has over 300 episodes focusing on everything from the core basics to the specifics on SEO and digital marketing. Scroll all the way back for topics like ‘Common Mistakes’ or listen to current episodes for news on the changing landscape of Google. SEO 101 also address real tips and tricks that are easy to implement based on their discussions, as well as things to avoid. We recommend ‘Battling Fake Reviews, Changes to Google Guidelines, and More’ for those working with local SEO. Using anecdotes, the episode clearly lays out easily implemented advice for dealing with reviews as a local business. It also discusses how to expand or redesign without affecting rankings negatively. 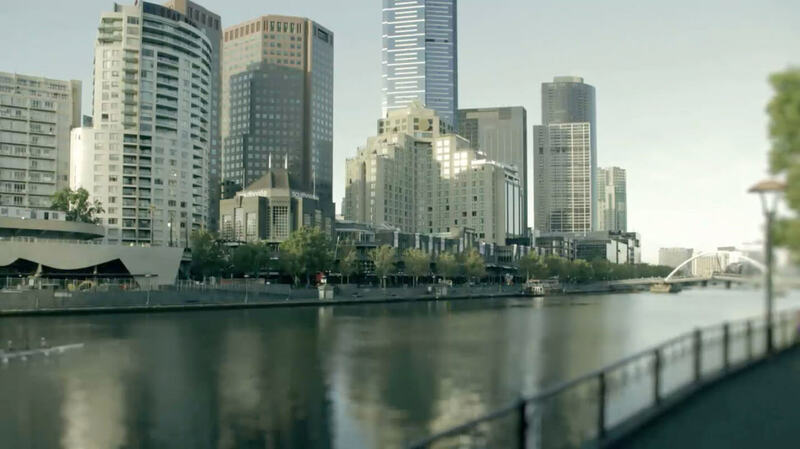 The episode makes sure to include both successful and unsuccessful examples they have seen, and what lessons can be learnt from both of those. We believe it is a good episode to see how SEO 101 works on going back to the basics, but discussing them in depth. For our favourite episode listen here. Experts On The Wire focuses on bringing in industry experts and learning from their specialty knowledge. This podcast mostly appeals to those already in the field, and digs deep into specifics. Don’t let the long episodes scare you, host Dan Shure keeps it interesting by diving in deep into the history and future of the topic of the episode. This makes this podcast perfect for a long commute. We recommend listening to ‘95: Preparing For Audio SEO & Podcasts In Google Search w/ Steve Pratt’, as it discusses a new and confusing area, but one that most people working in SEO would be concerned about. 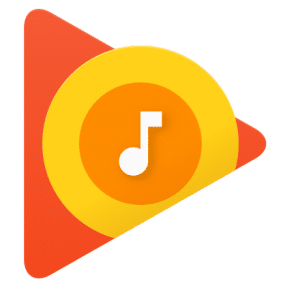 This episode details podcasts and their bright future, with google announcing their strategy to feature podcasts in similar ways to how text, image and video already are indexed. 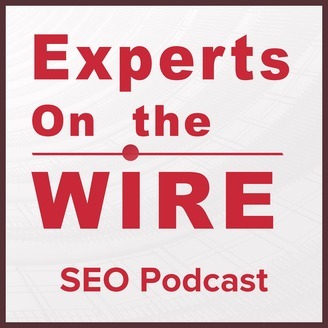 Experts On The Wire provides a deep analysis into what this change will look like, and how you can use this change to your advantage with SEO. The biggest lesson being that podcasts will be so much more important for websites wanting to stand out. The episode also discusses the future of audio SEO, now that the usage of smart speakers is growing. Pratt discusses the need to cater content to this context, and how podcasts are a smart way to do this. Although Pratt does emphasis that podcasts are not the only audio content a brand needs to consider. A further advantage of Experts On The Wire is that they provide references and sources for their discussions, so for the really curious, further SEO research is easy to find. With a focus on social media and mobile marketing as well as SEO, The Agents of Change features fascinating guests. It features over 250 episodes, allowing you to search through to find an episode that caters to your specific interests. The Agents of Change keep things interesting by intertwining their guests personal stories with many SEO lessons to be learnt. Due to Agents of Change being primarily centred around their guests and their personal stories, many episodes cover social media, mobile marketing and SEO all in in one, so this podcast is definitely more suited to those wanting to expand on a range of knowledge, not just SEO specifically. We love ‘The Improv’s Guide to Engaging Marketing – Kathy Klotz – Guest’. The episode centers around Kathy Klotz, an improviser and marketer who discusses the book she wrote about how to use improv skills in the marketing field. If you’re more interested in the creative aspects of digital marketing, Klotz talks about her concept of ‘idea-heightening’ and the importance of making your brand’s story compelling. Klotz is an interesting figure with a unique outlook on digital marketing, making this episode a must-listen. SEObits.fm focuses on the small changes that can make a big impact on SEO. Hosted by Rebecca Gill, who has over 15 years experience in the field, this podcast makes SEO easier to understand, mostly appealing to small business owners, and covering a range of digital marketing topics. Each episode is short, but keeps to a specific topic, making it easy to go through the archives to find something suited to you. Whilst each episode focuses on its specific topic you will need to do a bit of research yourself to see what sparks your interest. However we do recommend ‘Do WordPress Developers Need to Learn SEO?’. This episode focuses on the importance of SEO for anyone with a website, and how it takes more than just one tool to climb to the top of organic search results. 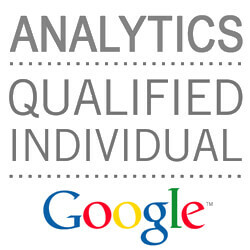 We also believe ‘Optimise Your Website Performance and SEO’ is an episode not to be missed. This episode takes a look into the often overlooked aspect of site speed, which Google has confirmed to affect your rankings. The episode talks about the three important elements of website performance, those being; Server, CMS Applications and End Users. Gill and her guest AJ Morris also include advice on how to shop for website hosting and the importance of trialling your website before making a big change. Finishing off this list with iTunes’ most popular SEO podcast. Matt Bertram and Chris Burres have over 300 episodes where they use comedy to help keep you entertained while informing you on the latest news. Each episode also has a particular topic they have chosen, but they tend to expand beyond that, keeping it interesting. Bertram and Burres are experts at breaking things down so new topics can be approachable. We recommend starting with ‘15 Link Building Tactics to Supercharge Your SEO Efforts’ and ‘4 SEO Tasks You Need To Be Doing Today, But Probably Aren’t’, as they demonstrate SEO Podcast’s unique blend of humour and informational discussion. ‘4 SEO Tasks You Need To Be Doing To Be Doing Today, But Probably Aren’t’ focuses on ongoing tasks that are needed for those maintaining their SEO. 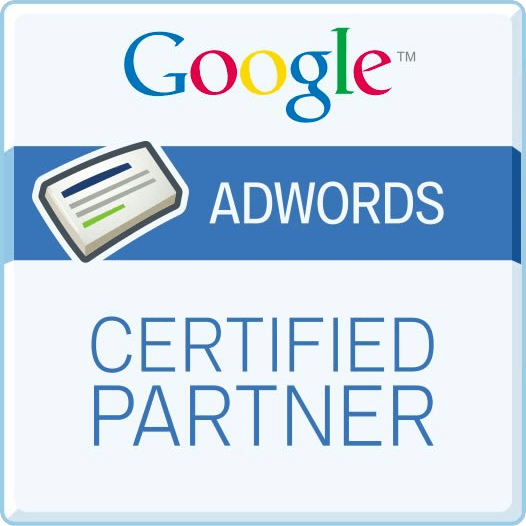 They emphasis the importance of not leaving your website alone once it is successful, ongoing SEO requires ongoing work. Bertram and Burres both believe that experimenting with new technology is important for those in the SEO field. Now you know where to start, what are you waiting for? Get listening, and expand your digital marketing knowledge in a fresh, engaging way. 3 thoughts on "9 SEO Podcasts For Those Bored With Blogs But Still Want To Learn"
I especially gravitated towards SEO Bits as i’d heard of the podcast before. Great summary. Thanks. The agents of change are great especially if you want a social media skew and lens when looking at SEO.